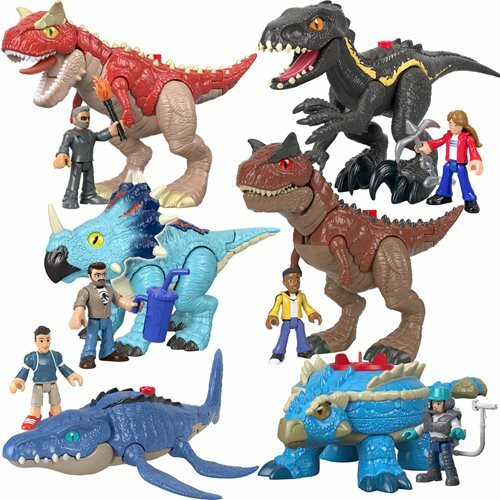 From the Jurassic World: Fallen Kingdom movie comes these cool Imaginext dinosaurs and characters! With the turn or press of a Power Pad bring the thrilling action of the Jurassic World figure sets to life! Each set includes a super cool dinosaur, character figure, and accessories. Collect them all to create even more exciting adventures!